Rajasthan Tour Packages|Rajasthan Holidays|Rajasthan Trip India. Padharo Maro Des-Welcome to Royal state of Rajasthan. As it depicts from its name Raj is for Royal and Asthan is place, hence the place where the Royal resides. Your Rajastha Tour Packages India will take you to Royal procession of this magnificent state. Hospitality is in nature and bravery is in blood of Rajasthan. The state is full of numerous architectural masterpieces, massive forts, magnificant palaces, wildlife, cities filled with enormous tales of chivalry, sprawling hawelis, sacred shrines, golden sand dune deserts, cuisine and warm people. Vibrant saga of this amazing state became alive during your Rajasthan Trip. The land witness battle fought, storeys of love & romance and cities narrating their unique stories from the art and grand structures. Either you are in search of something unique, live, and quiet but yet interesting place or looking for adventure destinations that excites you must visit the land of Rajasthan. The Trip to Rajasthan and visit to its cities will be a perfect delight. It is the land where guest is greeted with warm welcome and even enemies are given due regards on its soil. Plan Our Travel India Pvt. Ltd.
Rajasthan has outstanding diversity in all its forms-people, culture, cuisine, customs, costumes, rituals and physiographic. All have opened a wider scope for the tourists who are coming to visit this land first time. One won’t be get satisfied with just one visit, the charm of this beautiful state attracts the guests to come again and again. Rajasthan Tour Packages arelike unrevealing the quest which will keep you curious to open new chapter every time. Capital city of Rajasthan and also among the most attractive and most visited place in Rajasthan. The beautiful city of Jaipur is famous among the world with the name of “Pink city”. One of the prime cities of famous Golden Triangle Tour of India, Jaipur is fine fusion of antiquity and modernity. Its foundation was laid in 1727 by Sawai Jai Singh and was named after him. In 1863 the city dressed itself in Pink to welcome Prince Albert from that time it became famous as Pink city. City Palace, Amber fort, Albert Museum, Janatar Mantar, Hawa Mahal, Birla temple are some of the prime attractions to explore in Jaipur sightseeing tour package. You can also enjoy elephant ride, sumptuous and traditional Rajasthani culture, Hot air Balloon ride and much more while your visit to Jaipur Tour. The city of Lakes-Udaipur is spread picturesquely on the slopes of low ridge along the bank of Lake Pichola and Fatehsagar Lake. The city was founded by Maharana Udai Singh in 1559. The beautiful city is famous for its amazing variety of attractions and places holding the natural charm with bend of history and art. City Palace, Lake Pichola, Jag Mahal, Jag Mandir, Jagdish Temple, Shahelio Ki Bari, Gateh Sagar Lake Shilpgram are the prime highlights of the lake city. One can enjoy boat ride and glance the city in floating dream wagon. You can enjoy cycle tour of city, cooking class, ropeway, photography tour and lots of more interesting things while your visit to Udaipur. 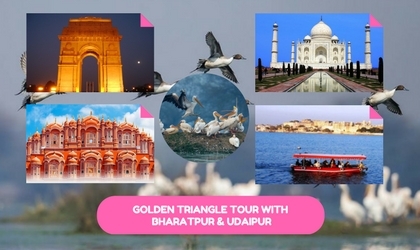 Durin your Rajasthan Tour Packages India Udaipur will certainly wins your heart. Golden city of Jaisalmer has emerged as one of the most famous and most visited city of Rajasthan. It’s desert safari, desert camp, beautiful and massive forts and palaces, havelis and unique art style distinct it from other destinations. As you would be approaching and exploring the city, you will feel visiting like something in Tales of Arabian Nights or city of imagination. When the rays of sun strikes to its honey colored walls of forts they glitters like gold and spreads an astonishing soothing view. Camel safari at Sam Sand dunes, Sonar Killa, Nathmal Ji Ki Haveli, Gadi Sagar Lake, Govenment Museum, Desert National Park, Fossils park are some of the unique sites that pulls million of tourists to this city. The valiant city situated on the eastern side of Thar desert is an unmatched example of art and architecture. The foundation of the city was laid by Rao Jodha in 1459. They were the chief of Rathore clan and claimed to be the descent of lord Rama. A 10 kms high stand wall once protected the city. Massive and best fort of Asia –Mehrangarh Fort is the heart and soul of city, Jaswant Thada, Umaid Bhawan Palace Museum, Mandore garden, Mahamandir are among the prime sites to visit and explore during Jodhpur city tour. Bikaner is beautiful historic city located in the north of Rajasthan. The town was founded by Rao Bika in 1488. Bikaner has some of the very old Jain temples and is an atmospheric old city. It is located in the old caravan routes which connects western/central Asia with the seaports of Gujarat. 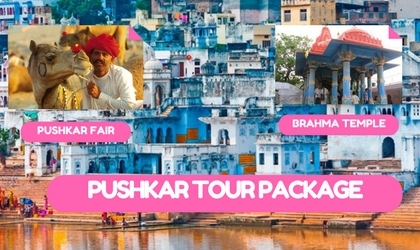 Junagarh fort, Lalgarh Palace, Ganga Government Museum, Bhandeshwar Jain Temple, Camel’s brilliant farm, prime and unique rat temple of Mata Karni are the must visit places of Bikaner to see in Rajasthan Tour packages. Gateway town to Ranthambore National Park is nested in the Vindhya and Aravli range. 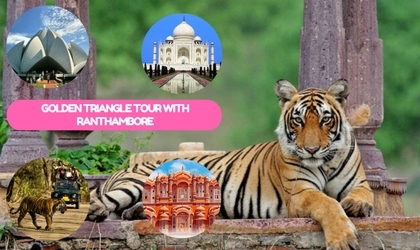 The famous park and tiger reserve is named after Ranthambore fort. It is among the most prime sight of tiger viewing and safari in India. The park spreads around area of 392 sq. Kms. Along with tiger, leopards, hyena, jackal, fox, caracal, sloth bear are among species of wild animals to explore in the park. There are over 300 varieties of birds in the sanctuary. The tiger town is well connected by road and rail. The best time to visit the park is between October to April. 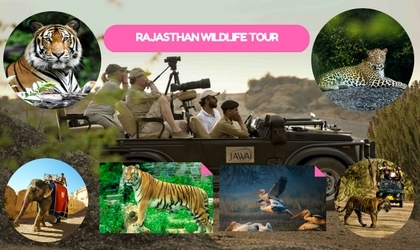 You will have the option of canter and jeep safari to enjoy the wildlife in the park of Ranthambore during your Rajasthan Trip. Mount Abu: The only hill station of Rajasthan Mt. Abu is nestled amidst lush forested hills of Aravali. It is a famous weekend destination for the people of nearby cities along with holds religious importance too. 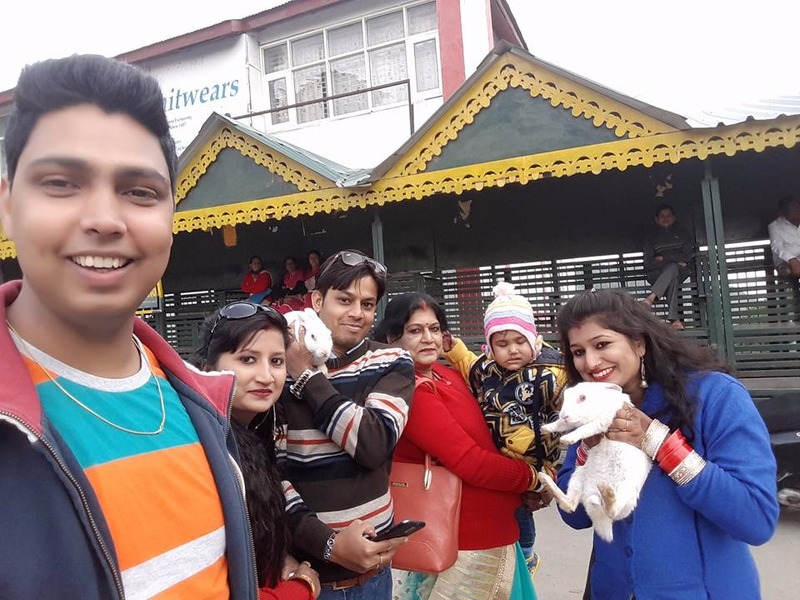 Famous Dilwara Jain temples, Bhrahmkumaris, Nakki Lake, Raghunath Ji Temple, Gau Mukh Temple, sunset Point are among the main highlights of the hill station. It is said to be named after the Abuda who was son of Humalya. 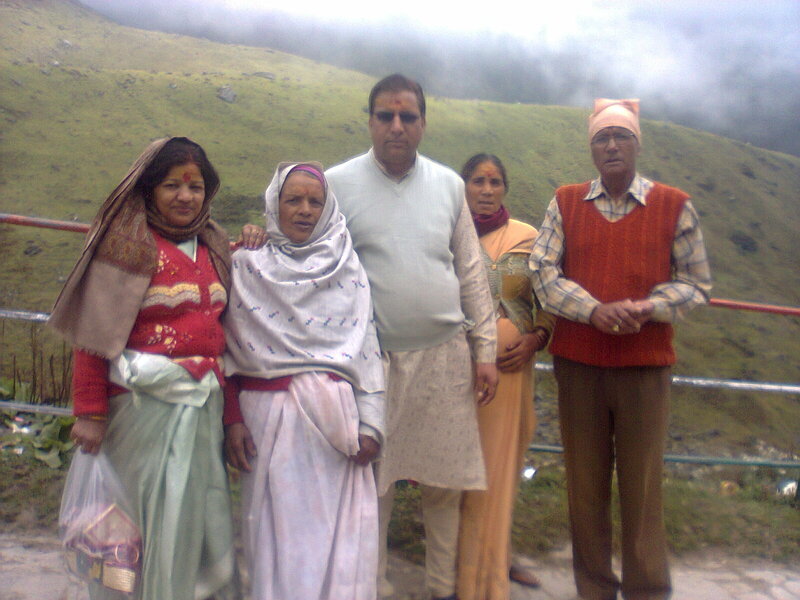 Great flock of tourists visit the only hill station of Rajasthan during summer and festive seasons. The picturesque pilgrimage centre is famous for the only Bhrahma Temple in India. It is the most sacred Tirth of Hindus and is reffered as Tirth Raj or King of Pilgrimage. It is said that a pilgrimage to famous Char Dham Yatra is incomplete without taking a holy dip in the water of Pushkar Lake. Accoring to Padma Puran Lord Brahma was in search of a suitable place for performing the Holy Yagna and while contemplating lotus flower fell down from his hands to this place and water spurted from three places one of them is in Pushkar. Jagat Pita Brahma Temple, Warah temple, Savitri Temple, Puskar Lake are the main shrines to visits. Pushkar Town is also famous for the most extravagant and grand camel fare organized during month of October-November. Pushkar is must visit place atleast once in any of the Rajasthan Tour Packages India program. During Pushkar Fair the charm of Pushkar got multiple times increased. The sacred town was founded by Raja Ajaypal in 7th centuary. The place was famous bastion of Chauhan Rajputs. 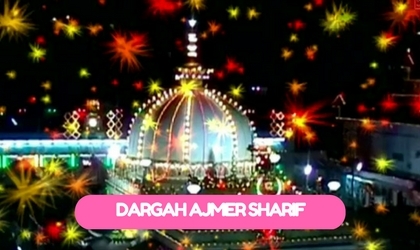 Ajmer holds many historic events in its history but is most famous for 13th centuary built Dargah of Khwaja Moinuddin Chisti. He was popuarily known as Garib Nawaz or protector of poor. It is one of the holiest site of Muslims. Millions of the pilgrims from all over the world flock to this place for seeking the blessings. The dargah has massive gates with silver doors. Along with Adhai din ka Jhopra, Rajputana Museum, Taragarh Fort are other places to explore in Ajmer. Chivalrous Chittaurgarh, the citadel of brave, reverberates with tales of valour and romance. The massive fort of Chittorgarh is among one of the best fort in the country. Chittorgarh is famous for the saga of Love of Prithvi Raj Chauhan and Rani Padmini. The queen and women of the court sacrificed their life in flames rather than submitting to anybody, the supreme sacrifice was called Jauhar. Chittorgarh Fort, Kirti Stambha, Vijay Stamba, Padmini Palace, Rana Kumbha Palace are the major highlights of the city. Kota is a beautiful city famous for paintings, palaces, museums and palaces to worship located on the bank of Chambal River. The city is travelled generally a day travel from Bundi. City Palace and fort, jag Mandir, Brij Vilas Palace Museum are among the major highlights of Kota. Bundi is a beautiful town located three sides around Aravali hills and the beautiful lake in centre. Bundi is also famous for paintings and murals. Visiting Bundi is like entering in past, the old streets, market, lake, forts are impression of past highlighting in present. The legacy of old town reflects from its fort and is famous for art and sculptures. Khush Mahal, Ksar Bagh, Rani Ji ki Baori, Dabhai kund are among the major highlights of Bundi. Eastern Gateway to Rajasthan, Bharatpur was founded by Maharaja Suraj Mal in 1733. According to the legend Bharatpur is named after Bharat, brother of Lord Rama whose other brother Laxman is worshiped as the family diety of Bharatpur. At present the town is famous for Keoladeo Ghana National Park. The national park is famous for migratory birds and is declared as reserve for the birds in 1956. The sanctuary gained status of National park in 1982 and in 1985 UNECO has declared it world heritage site. Lohargarh fort, Govt. Museum, the Palace are the other places to visit in Bharatpur. There are over 375 species including water birds, mirgratary birds and waterside birds. The sanctuary not only attracts birds from different part of world but also from China, Siberia, China and Tibet. Rajasthan has great accommodation options available from Luxury hotels, palaces turn hotels, famous 5 star hotel chains and a wide range of 4 star to budget and standard hotels. Many home stays are also available at different cities of Rajasthan. Some has turned their havelis in to hotels and accommodation units. At desert areas one can also enjoy camp stay, feel and experience the Rajasthani culture and royalty during your stay at heritage hotels. Rajasthan heritage tour package will allow you to experience the luxury with variety and comfort. Rajasthan state is widely and comfortably accessible by roads, trains and air as well. By Road: There are 20 national highways which cover 6373 kms of distance. National highways and good condition of the roads make the state highly approachable and easy to access by tourists. All the cities are well connected with each others. There are around 5000 state transport buses which connect the neighbour states like Delhi, Gujrat, Punjab, Haryana, Madhya Pradesh, Uttar Pradesh to it. By Rail:All the major cities are well connected and accessible by Train. There are 146 railway stations in the state which connects the entire India through a wide and broad channel of trains. You can find double Decker ac train to Jaipur. 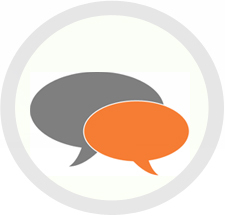 Direct links from Delhi, Hyderabad, Mumbai, Kolkata, Chennai are also available. To promote the Royal Land tourism there are specially luxury trains like Palace on Wheels, Royal Rajasthan on wheels are also available to explore the glorious state. These trains provide a luxurious stay, sightseeing tour experience to guests. By Air: Jaipur, Udaipur and Jodhpur are the main cities where Airports available and connects the main cities. Jaipur International airport receives mainly flights from domestic, Asian and gulf countries. Major domestic flights like Indigo, jet airways, spicejet, vistara are in operation here. All the travel assistance services like prepaid taxis, money exchange, restaurant, internet facility, sweet and book shops are available in the airport. October to March:October to March is the perfect time to explore all the major destinations of Rajasthan. Tourists visit Jaipur, Jodhpur, Bikaner, jaisalmer and Jodhpur with great interest. 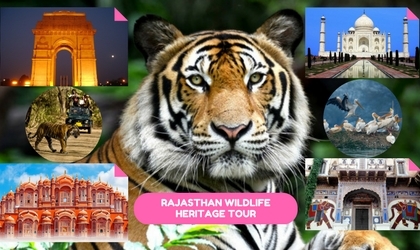 Those who are adventures explore Ranthambore, Jawai, Sariska and Bharatpur with great interest. Bundi, Mandawa, Ranakpur, Jawai are off beat destination which one can also visits in your Rajasthan trip. April to June: Summer is ideal season for those who want to enjoy and experience the royalty in less price and are adaptable in hot climate. During summer as the temperature raise most of the hotels slash down their prices. It can be an opportunity for those who are really loves to enjoy luxury in discounted prices. For sightseeing alternative morning and evening time would be best to scheduled. July to September: Udaipur Lake city becomes more charming during Monsoon. One of the most romantic cities of India, Udaipur becomes extremely beautiful in Monsoon as greenery all around and most of the lakes got filled with water. Rajasthan is state of outstanding culural heritage, glorious forts, palaces, cuisines and much more. Let's experience and know more about the wide range of supreme things you can do, explore and experience during your Rajasthan tour. Cuisines: As unique the state of Rajasthan is, so is its cuisines. Hot and extreme climate conditions have given the state a gift of many lip smacking dishes and distinct cooking styles. Some of the dishes are certainly the delight to foodies. Your Rajasthan trip will allows you to taste Daal-Bati-Churma which tops in list, Bajre Ki roti, Panchmel Ki Sabzi, Gatte Ki Sabzi, Rajasthani Kadi, Laal Mass, Mohan Maas, snacks are among the top choices in the list of a food lover visiting Rajasthan. There are lots of other dishes which derived their names from their origin places like Bikaneri Bhujia, Alwar Ka Mawa, Pushka ka Malpua, Mewar Ki Paniya and gheriya. Pyaz achori, Mirchi Vada, Kalmi Vada, Balushahi, Ghewar, Imarti, Gujia are among the top sweet dishes chartbusters of menu. Dances of Rajasthan: Dance and music is soul of Rajasthani culture. Any function, wedding, Religious rituals, pooja or any joyful occasion folk music and dance are part of peoples life and event. Rythmic dance and music are crucial parts of the communities. People invite Dholis, Bhats and Nats to dance and sing. Puppeteries, Bhopas and Kachhi ghodi dancers are among the professional performers of dance and songs. Ghoomar, Gair, Chari Dance, Kacchi Ghodi, Fire Dance, Bhavai, Drim Dance, Kathputli and terah taali are among the famous traditional dances of Rajasthan. Kalbeliya dance performers are among the famous performers of the princely state. Folk culture, songs and dances of Rajasthan increase and enhance your experience of Rajasthan tour packages India visits. Music of Rajasthan: Folk songs of Rajasthan holds the silence of desert and loud heat of noon. Singer play various music instruments like ektara, Ghungroo, sarangi etc to entertain the people and creating the magical effect of their heart touching voice. Dhol and drums are also widely use during the song and dance performances. Flute and shehnai are other two main and most important musical instruments in the folk music of raasthan. Taali and kartaal, dhapli are among other famous instruments used widely during any religious occasion ike keertan and Bhajans. Shopping: Rajasthan is paradise for shoppers who are looking for rare, authentic, handmade and traditional articles, jewellery, Rajasthani miniature, painting, leather wear, stone carving, blue pottery and much more. Every city has its unique style of art and artefacts to offer. Jaipur is famous for hand-cutting gems, kundan and meenakari of jewellery. Rajasthali, Jauhari Bazaar, Mi road, Nehru Bazaar are among famous shopping sites of Jaipur. Leather lovers can find a great scope of shopping bags, belt wallet, shoes made up of camel and Sheep skin. Kote Gare, Jungarh fort and station road are prime shopping locations here. Golden city of Jaisalmer is famous for embroidery, mirror work, rugs and finely cut antiques, puppets and jutis. Fort market, sadar bazaar, Gandhi Darshan, Barmer embroidery house are among top shopping sites in Jaisalmer. Ethenic clothes, beautifully carved furniture and handicraft are speciality of Jodhpur. Jodhpuri shoes at Mochi Bazar, bandhini at Kapra bazaar are famous shopping places in Jodhpur. Blue city is also famous for Mathaniya red chilly. Fascinating folk toys, bandhini textile, beadwork, wooden craft, metal craft and terracotta craft are among famous things to shop in Udaipur. Lahariya Bandhini Sarees, traditionally designed hand woven carpets are among other famous articles to shop here. Wooden toys, beed work, bangles, brass utensils, miniature paintings and pottery are must shop iteams in Pushkar. Sarafa Bazar, Baza bajar and Kedalganj Bazar are important center of shopping here. Kota Doria saris, pottery, stone carft are highlights of shopping in Kota. Shekahwati region is famous for fresco paintings and wonderfully carved furniture. Activities: Rajasthan is a vivid state which provides a great scope and space of wide range activities. Hot air balloon ride at Jaipur, Wildlife Adventrure safari Ranthambore, Zip in Jodhpur, Leopard Safari at Jawai, Camel ride and desert safari in Jaisalmer, Overnight desert camping, Boat ride at Lake Pichola Udaipur, Bicycle Tour, Eelphant ride etc. 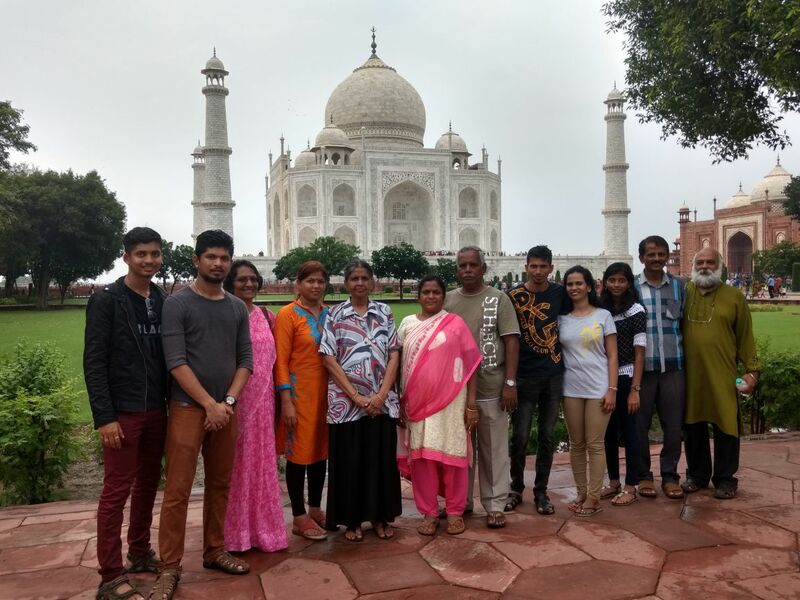 are among some of the greatly explored and must experience activities while you Rajasthan Tour Packages India and should must be incorporated into your Rajasthan Trip. Amenities: You will get all the Major Bank atms at every city of Rajasthan. Jaipur, Udaipur, Jodhpur etc. has different malls and reputed chain restaurants. Extension Tours: Rajasthan tour can be extended from one week to two weeks and even to to three. All depends upon the intrest and avaialbe time of guests. Every city of Raasthan has its own unique charm and heritage to showcase. As summers are hot and winters night are chilly. You should plan your trip and consult your trip expert to guide and select favourable month for your visit. From October to March you should carry light cotton clothes for afternoon and winter clothes for night as nights can be chilly cool in winters. Don’t forget to carry sunglasses, sunscream, body lotions, prickly heat powder, wipes etc with you. Eat from good and hygiene restaurants. Avoid drinking outside water, always preferring bottled Mineral water. While a visit to temple take care of wearing sober clothes. Indian temples hold great religious sentiments. Shoes, pets are not allowed in the temples. There are some temples also where the people of other religions have limitations of visit. Do follow the rules while visiting any religious place. Exchange your money from banks, authorized agents only. You can seek assistance of your tour operator. Police control number is 100, 101 is for ambulance and fire brigade, 1091 is women helpline number. Be alert while visiting crowded places and market. Carry only required cash and id with you while visiting market. Lock your luggage and room properly. Never eat or offer to eat to your fellow passenger or unknown during your train travel or in market place. Keep your valuables in hotel locker and take receipt of the deposit. Avoid taking then with you in crowded places. Always inform your hotel about whenever you go alone and leave your contact number to them and take theirs also. Be alert and aware from tours also. Don’t trust the strangers or person getting too friendly and offering you something to eat. Open drinking alcohol is prohibited in India, hence follow the rules. Drugs consumption is illegal and an offence in India, hence avoid to purchase or consume them. Follow the rules of photography as according to place and their rules. 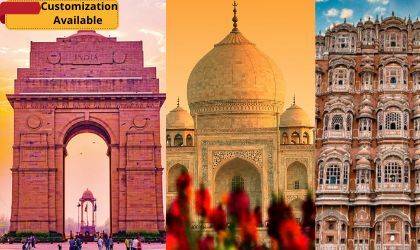 Why to Book With Plan Our Travel India Pvt. Ltd.
24*7 quick assistance is our commitment. We will be there where you want.
" I would definitely recommend POT as a Number ONE Resource for a tour of India. On a scale of 1 - 10, I would certainly place you around an 8.5 to 9. While some small improvements can be made, you are definitely my number one choice for a tour agency and I will strongly encourage my friends and acquaintances to contact you with any of their needs." 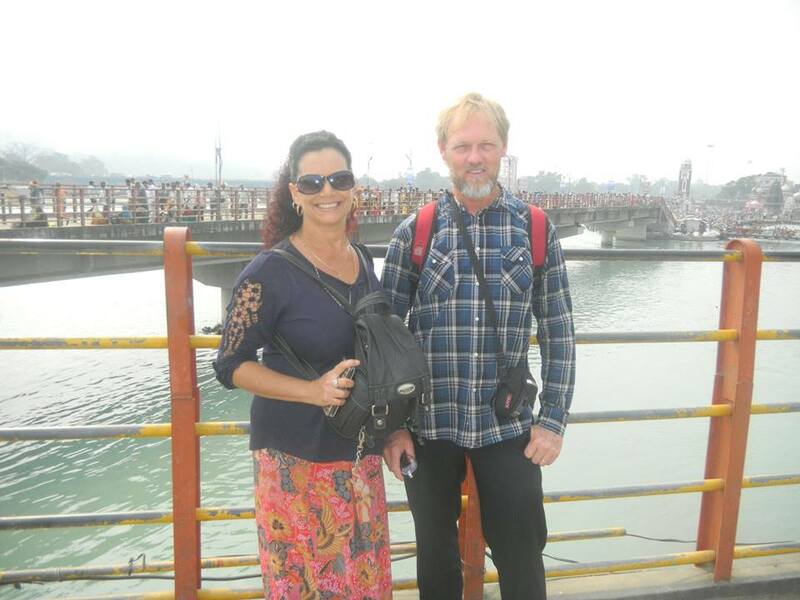 "Dear Rajesh, We enjoyed the Tour thoroughly, I like the services. Tour representatives were great. Hotel at Jaipur was not up to mark not value for money. It was really a different experience dining at restaurant in Chaur Bazaar. we really enjoyed the trip, we really enjoyed the trip will be recommending your company ..."